A Blast Movement Monitor (BMM) is installed in a blast pattern and moves with the rock during a blast. 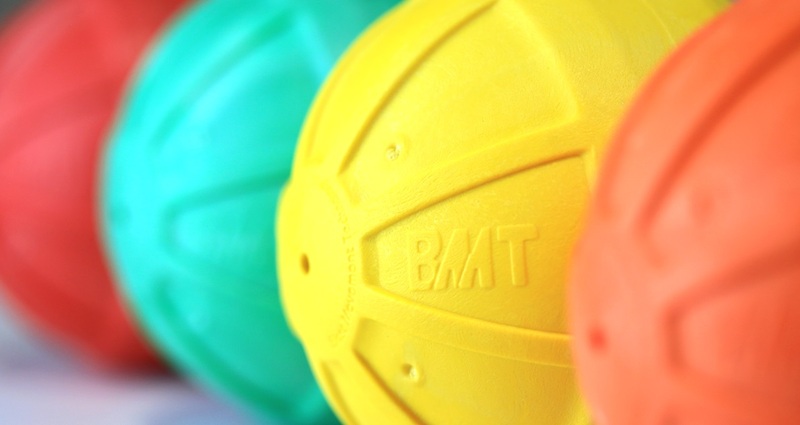 BMMs are available in four colours, which means multiple balls can be placed in a single hole to monitor mid-bench or flitch-boundary movement. To account for different blasting conditions, BMMs can be set to activate in either Standard or Blast Anytime mode. The Detector senses and records the location of BMMs in the blast pattern (pre-blast) and muckpile (post-blast). The BMM location data is transferred to the BMM Explorer software. BMT offers two types of detector: Standard and Survey-enabled. The standard detector measures BMM pre- and post-blast depth, and BMM precise location is surveyed by the mine site survey team. The survey-enabled detector (SED) makes detection a one step process through simultaneous recording of BMM depth and high precision GPS coordinates. 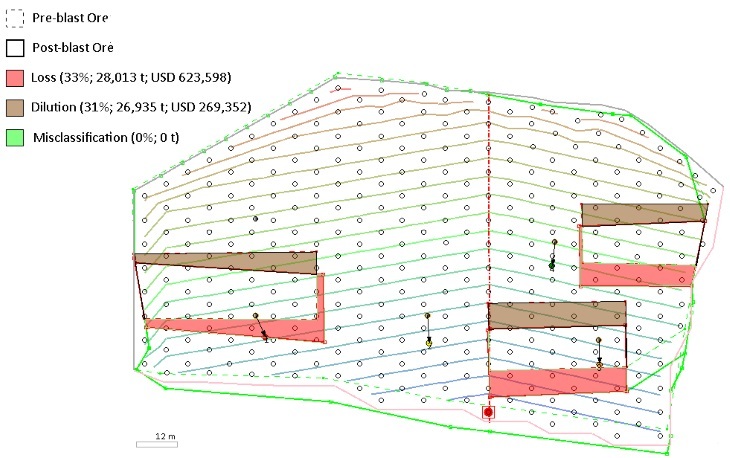 BMM Explorer calculates new dig lines for the shovels and areas of ore loss, dilution and misclassification that would have occurred if blast movement was not accounted for. 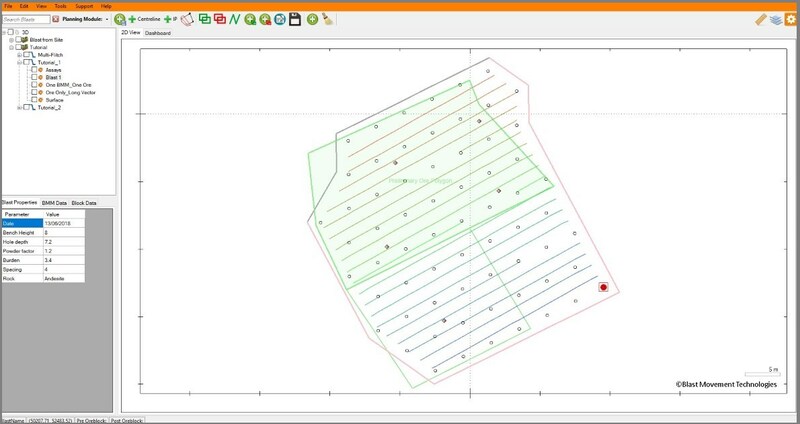 It is the world’s most advanced software for defining ore polygons after blasting, and is integral to the BMM System. BMM Explorer V3.4 includes a new Value Calculator Wizard and an additional Value Calculator Report, which allow the user to run the Value Calculator on multiple blasts in sequence and to generate a summary report. It also has improved Module Planning functionality. 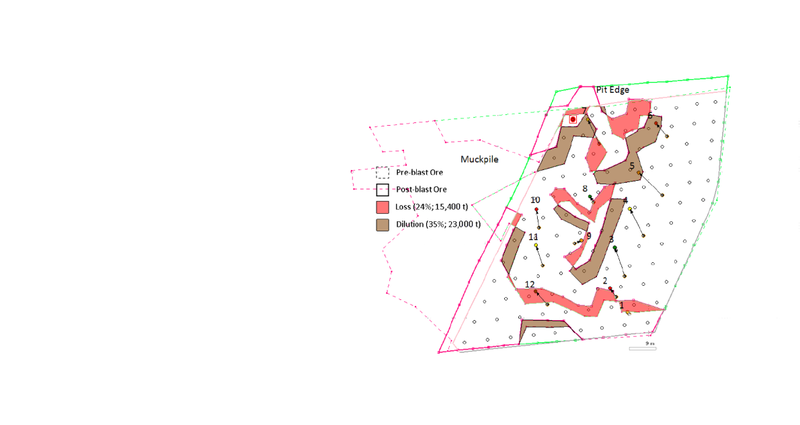 BMT’s Value Calculator quantifies the additional revenue realised by blast movement monitoring: it calculates the potential value lost if ore polygons were mined in their pre-blast (in situ) location rather than their post-blast location. Reports the financial benefit the mine would realise if blast movement was accounted for. In this example, Value Calculator shows that this customer would have added more than US$600,000 by accounting for blast movement in this blast. This includes an additional 28,000 tonnes (31,000 Tons) of ore and 27,000 tonnes (29,700 Tons) of waste that was diverted from the mill. The following inputs were used to calculate these figures.